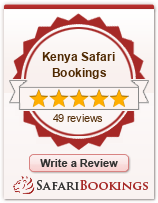 You are met and transferred from Nairobi Airport to sarova Hotel or similar where you will be staying on a Bed and Breakfast Basis. Depending on what time you arrive you will have the rest of the day to explore Nairobi at your own pace. Depart after breakfast and drive to Lake Nakuru National Park, famous as the home to thousands of lesser and greater flamingo. This park also provides a sanctuary for Rothschild giraffe, rhino and leopard. Continue to Lake Nakuru sopa Lodge where you overnight.